The Downtown Partnership and Habitat for Humanity of Orange County are partnering on Neighbors with Northside; a spring collaboration to build a home for a local family! The goal of this unique collaboration is to bring together students, downtown residents and businesses to help revitalize the neighboring Northside community. It has been over 10 years since Habitat has had the opportunity to build new homes downtown; we don't want to let this rare opportunity pass us by! You are invited to help us raise the first walls on the home during the “Neighbors with Northside” kick-off on Saturday, March 11, 2017. 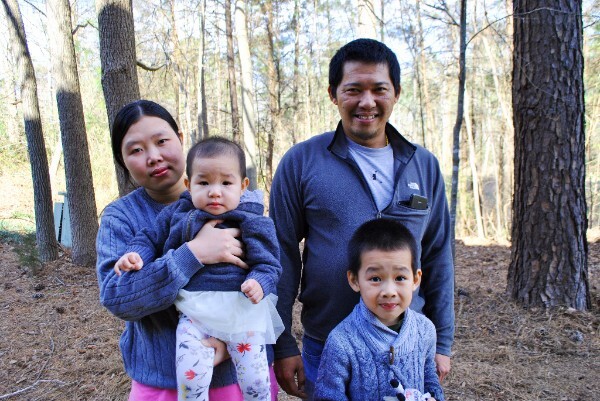 We will have a very brief program where you will get to meet the Habitat family, Thein Oo and Lweh Eh PAW, and hear his compelling story of moving to Chapel Hill as a refugee. Afterwards, we will work side-by-side with Thein Oo to raise the first walls on his future home. Learn more about this incredible family! The volunteer shift will take place at 618 Sykes Street and will last from 8:15am-12:00pm. Spots are limited and will be filled on a first come, first served basis! Click here to register. If you are unable to attend the kick-off but you would like to participate, contact Jennifer Player, jplayer@orangehabitat.org. Our goal is to raise $50,000 towards the construction costs of the house. Our downtown takes care of each other. This is a great opportunity for businesses and residents to welcome new neighbors to downtown! Calling all Makers, Artists, Hobbyists, Tinkerers, Scientists, and more!